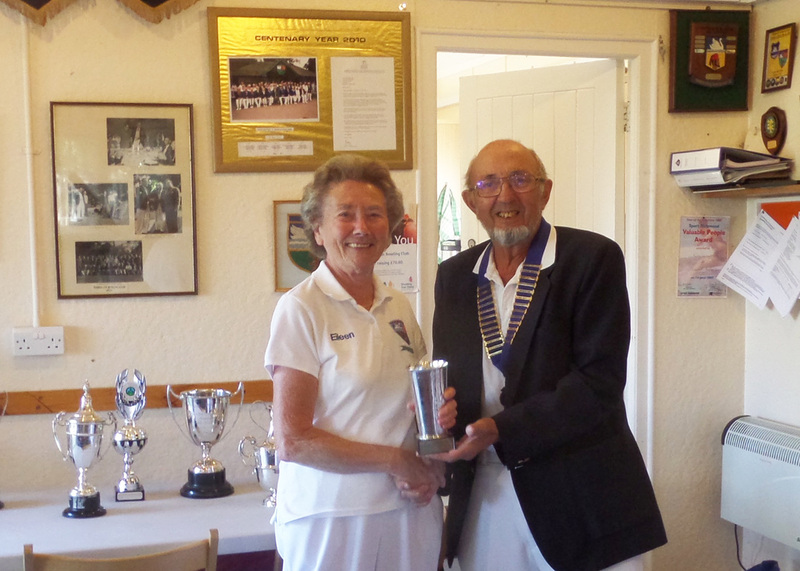 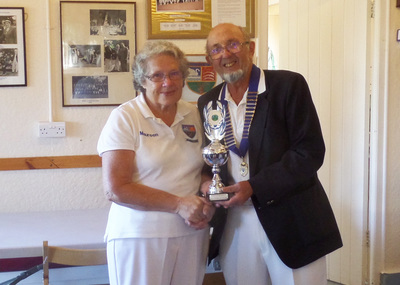 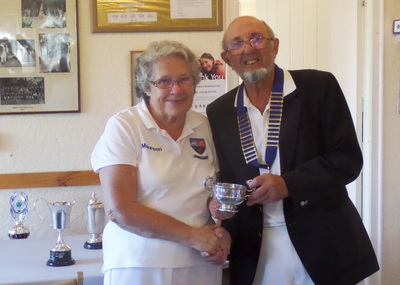 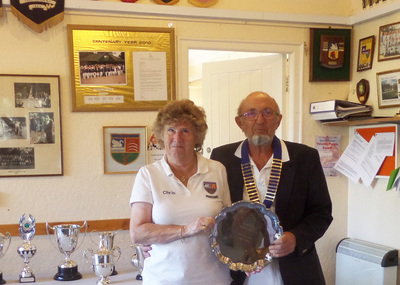 Colin Hammond and Eileen Ball are the Men’s and Ladies’ Champions for 2016 after a finals weekend which mercifully ended in much better weather than it started. 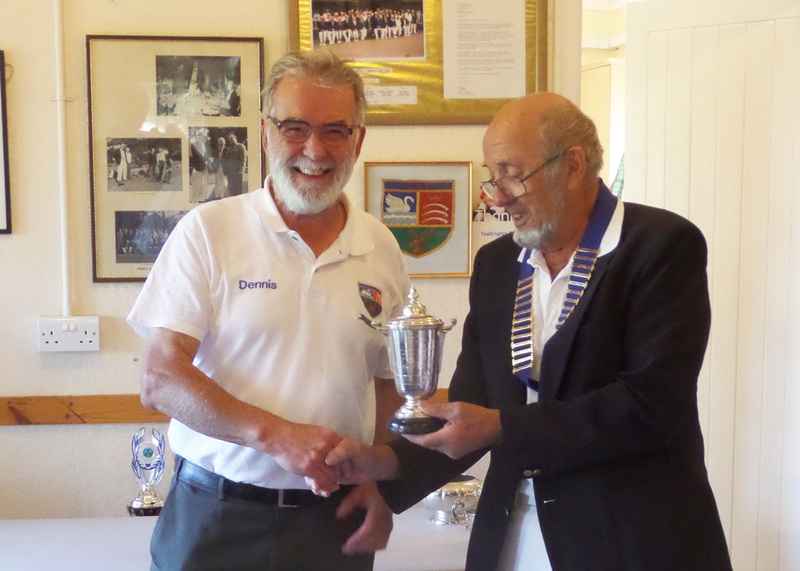 Colin beat Dennis Moss by 22 shots to 12 in the Men’s Championship Final on Sunday, September 11 watched by spectators enjoying some glorious early autumn sunshine. 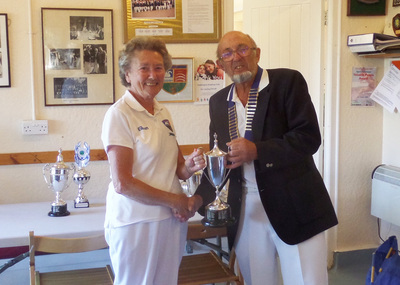 Then Eileen beat Maureen Elmes in the equivalent ladies’ contest. 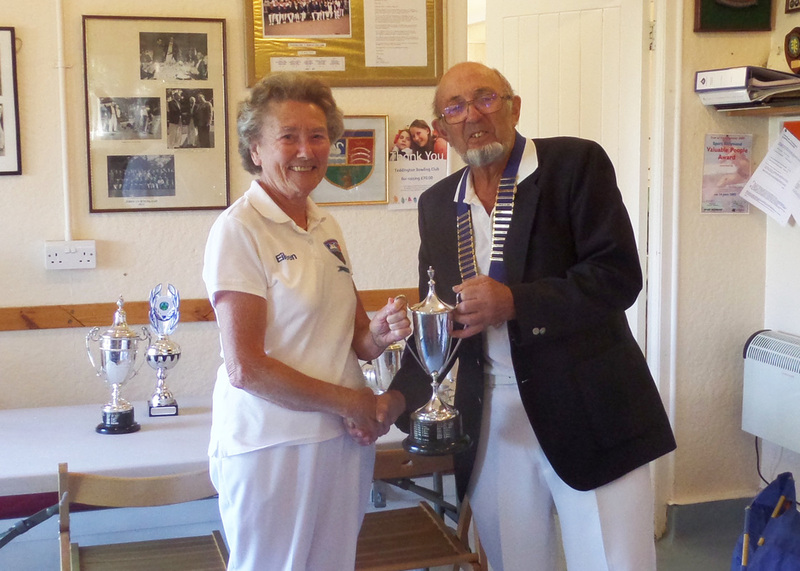 Eileen also won the ladies’ Handicap and Two Woods cups, beating Maureen and Lilian Reoch respectively. But on a Saturday afternoon in which the rain seemed never to relent for more than 10 minutes at a time, Colin found himself edged out in his two other finals. 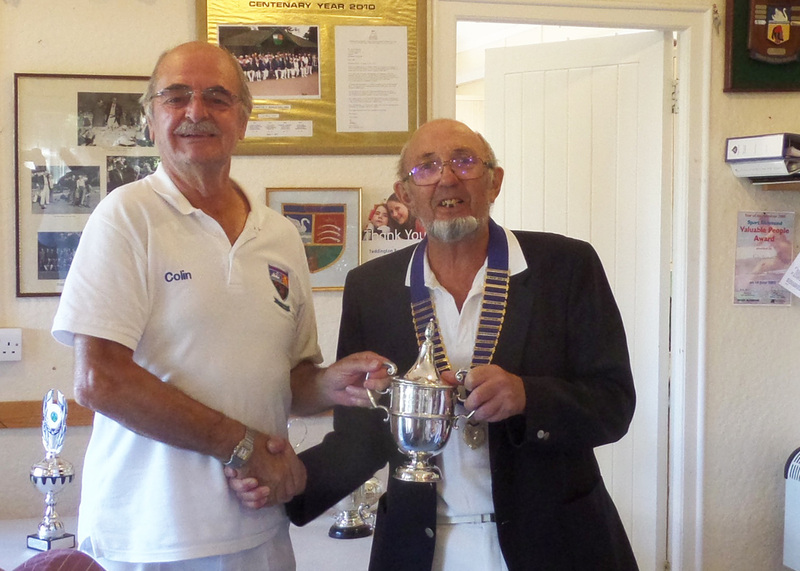 First, Vernon Elmes and Chris Caswell beat him and Bernard Winter in the pairs, shading the first and second sets 6-4, 9-8. 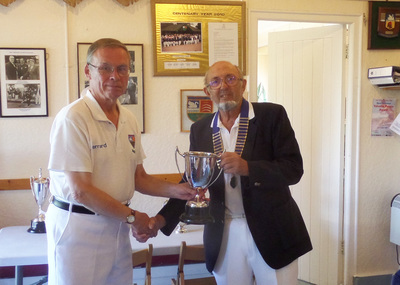 Then in the Knapman against Gerrard Raven, the scores were tied on 17-all after the prescribed 18 ends. 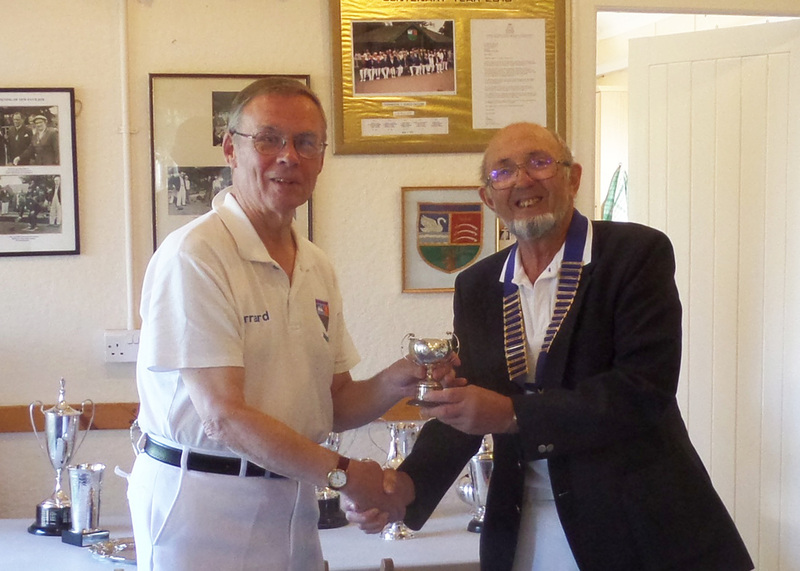 Gerrard won the “sudden death” 19th end when Colin’s last bowl missed the jack by a whisker. 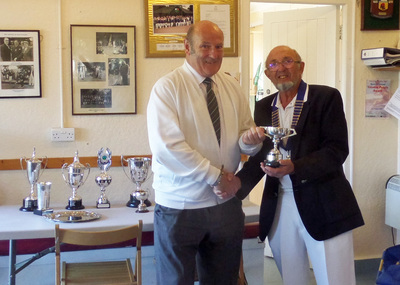 In the last match to be completed on the Sunday, Gerrard took the Mens’ Handicap against Peter Ede.